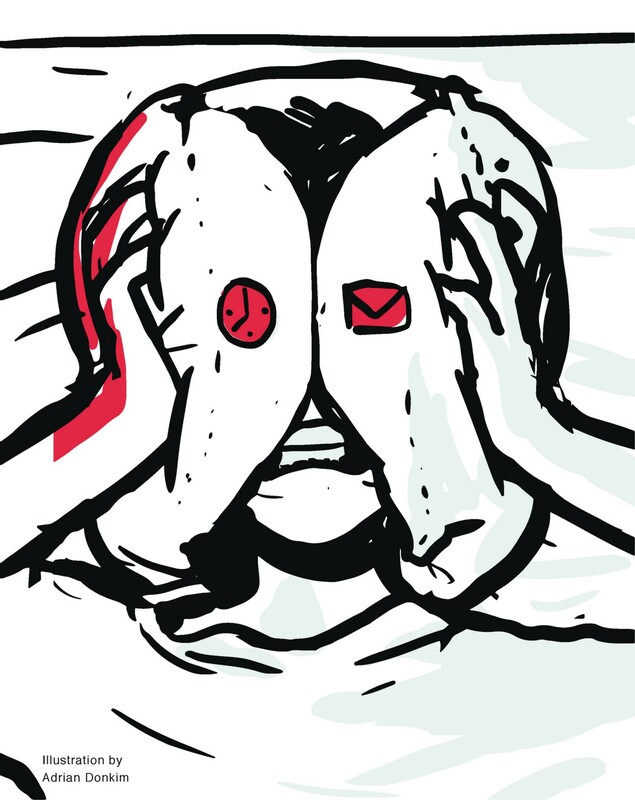 While fear of snakes, clowns, and plane crashes are often rooted in the improbable, the fear of not being able to sleep falls into an entirely different category. What if your fear of spiders was based on the fact that you actually had to face these 8-legged arachnids routinely? Or if you had a fear of elevators and had to work in massive high-rises? But Insomniaphobes have to face their fears — every single night. The result is a spike in sleep deprivation and stress. Not wanting to “miss out” out while sleeping is common in children: watch a toddler fight sleep with every ounce of strength, not wanting to be left out of the action. But the adult version is complicated: you know you need sleep, and you desperately want to sleep, but this yearning is overwhelmed by your over-packed schedule, the irresistible magnetic pull to check your phone or email, and the anxiety that the rest of the world will be moving ahead while you snooze. Often the response is frustration or anger: At yourself. At your overactive mind that won’t listen to you. At your body that isn’t doing what it should. So you also suffer from “Sleep Rage,” the quickly accumulating irritability that happens as minutes tick by and you are still awake. And while you know it is completely counterproductive, you end up furious — at yourself. Then there is what I refer to as the “Slap Awake” — waking with a jolt, in a panic (sometimes rooted in “alarm clock anxiety” — fear of missing your alarm). This rude awakening is a tough way to start the day, to say the least. Maybe as a teen you could tear through the day and fall into a deep sleep within seconds once you got into bed. Turning to spin classes or hot yoga may give you the tease of sheer exhaustion but it results in a long-term boost in the stress hormone cortisol rather than a calming effect. My prescription: Overhaul your “sleep hygiene” with tips below and learn deep, slow, calming “Horizontal” breathing to get your mind and body to agree it’s time for bed. 1. A handful of walnuts, almonds or pumpkin seeds for magnesium. 2. Eliminate all lights in the bedroom and keep the room cooler than usual. 3. Vitamin C and Melatonin (Vitafusion does yummy gummy with both). 4. Earplugs (look for Noise Reduction Rating of over 30). 5. SAD light in the morning (mine is from Northern Lights, Inc.). 6. Invest in noise-cancelling machines. 7. Practice “Horizontal” belly breathing described in Breathe: the Simple Revolutionary 14-day Program to Improve your Mental and Physical Health. 8. Commit to not watching TV or checking your phone or tablet at least 30 minutes before bedtime.